Just one of the stellar views at Mahony & Sons at Stamps Landing. I think I’m going to be spending a lot of time at the new Mahony & Sons at Stamps Landing. I could go on an on about the amazing two level 10,000 square foot space with it’s 300 seat patio. I could praise the way that the family run company can take a massive space and make it feel cozy as they do at all their locations. And I could tell you about the selection of nooks, private rooms, and snuggy spaces that make a pub feel like a pub yet offer STUNNING views of Vancouver. But you just need to go in yourself and experience it. I had to ask Chris Mahony of Mahony & Sons how they did it, how they were able to visualize a new project and undertake this immense and challenging renovation – because it was mammoth. What used to be the old Monk McQueens in now almost unrecognizable. 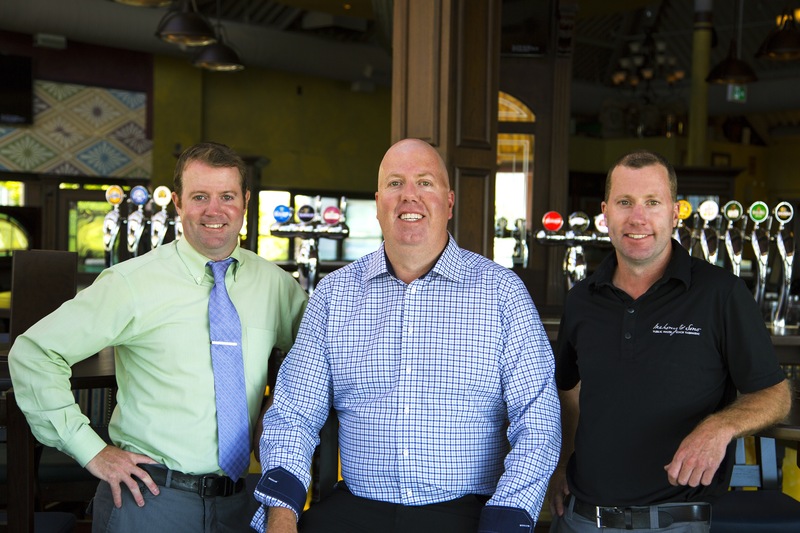 Chris comes from a large Irish family and is one of five that operates Mahony & Sons three locations: UBC, Burrard Landing, and now Stamps Landing. Both the Burrard and Stamps locations are situated on prime waterfront property. 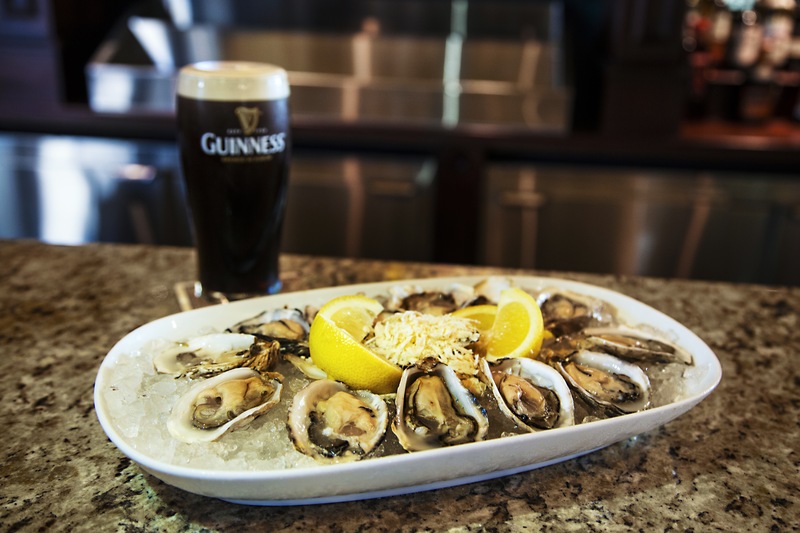 Guinness and Oysters are supposed to make a great pairing. And the menu supports this new space. Most pubs feature heavier and richer items but I was surprised to find new items like the Scallop and Beet Arugula Salad, Lee’s Lamb Dip, Thai Panang Curry with Grilled Chicken, and possibly my most favorite item – the Pacific Coast Chowder. I’m not a huge seafood chowder fan. I always find it starchy, full of potatoes, flavorless, and using only the cheapest of fish. But THIS was amazing and something I can see myself coming back for time and time again. Paired with a cold Guinness it’s absolute perfection on those cold damp Vancouver days. 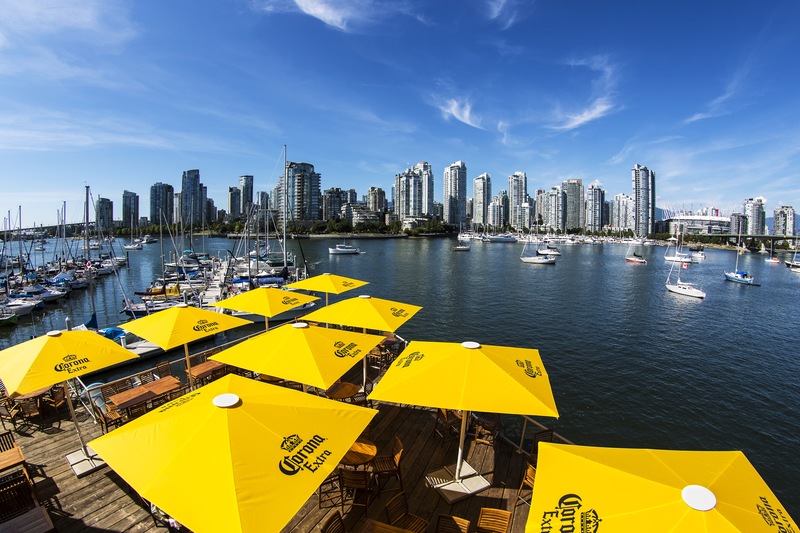 According to Chris, Mahony & Sons is adding lighter options to the menu and have introduced their first oyster bar at the Stamps Landing location. He says that Guinness and oysters make the perfect pairing. I did not know this. While the food is great, what I really like about this establishment is the family-run atmosphere. On any given night you’ll find a Mahony or two behind the bar, or greeting guests in their classy understated way. You can tell that this family is in it for the long haul and their success depends on their closeness and fierce determination to see them collectively succeed. And this attitude and excellence extends to their staff as well. Chris Mahony (centre) with two of the Mahony brothers.